Have you ever had wrinkles that just won’t go away? 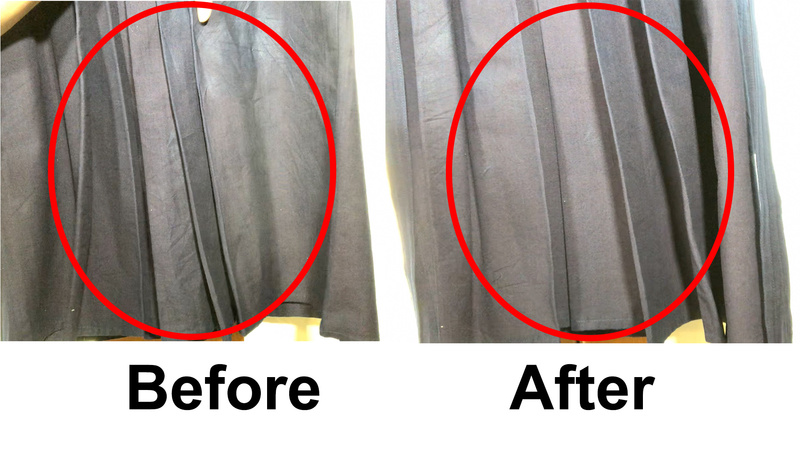 I’m going to review and show you how to remove these wrinkles on a hakama with the iSteam! Usually you can iron the himo part from the hakama, but make sure when you iron it you put tenugui on it, otherwise it will be shiny as hell! I’m not good at ironing, I have to admit, so I can only remove wrinkles on this hakama from a device I purchased. It’s too much to get the iron board and you might also add more wrinkles from doing this. The device that I got from amazon.com is called iSteam. I will show you to use this device in the review as well. You begin by putting water in it, there is a max line, I highly recommend don’t go past that line because it will boil like crazy. I used distilled water, it’s recommended but I also happen to have distilled water for my CPAP. After filling it up with water, you plug the device in and wait for the water to boil; which it does very quickly. You will start to see and hear the water sizzling and this continues with bubbles arising. Then very soon you will see it boil a lot and steam will start coming out. The boiling of the water will begin and you can start using it. For my review, I will focus on this one wrinkled area. You will see that because it’s steam it won’t shine the way it would have if it were ironed. I will go up and down in the wrinkled area. You can remove tiny wrinkles with no problems with this device. Now I will move on to a large wrinkled area and see if it does well too. And yes, it does! It’s pretty good. It’s a very tiny device so I’m sure you can put it in your suitcase for your next promotion exam. You don’t want a wrinkled hakama, in the morning you can simply use this device. It removes these tiny or basic wrinkles very quickly, so I like using this because it’s nothing very difficult. 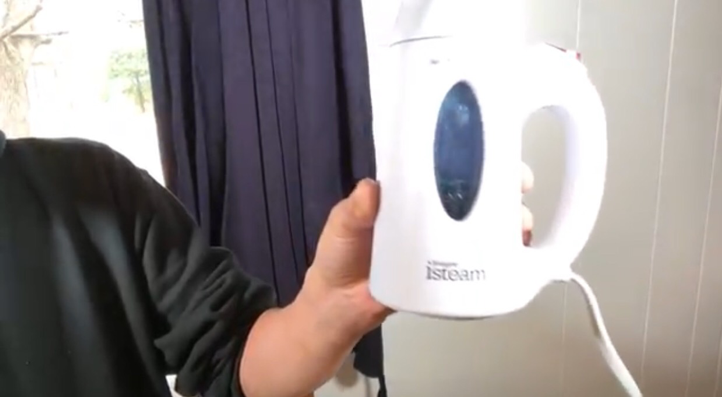 You just put water in it and off you go! But if you have something deeper, like a previously squished himo, it won’t work. You probably would have to wet it and stretch those tough wrinkles. So yes, I recommend the iSteam it’s good at tiny or daily care situations. You can buy the amazing iSteam. If you have any questions or want to know please feel free to contact me.